BOISE – A former pharmacist for a Boise hospital has filed a lawsuit alleging she was subject to racist and sexist harassment by multiple employees before being wrongfully terminated after just five months. In the 21-page suit filed Friday, Lolettima Johnson, who is black, says she repeatedly reported the discriminatory behavior to several supervisors while working at an inpatient pharmacy at St. Luke’s Boise Medical Center in 2016. “Nevertheless, nothing changed and the racial harassment continued,” wrote Ronaldo Coulter, Johnson’s attorney based in Eagle. Johnson’s lawsuit says her supervisor actively worked to end her employment because he wanted to pursue a romantic relationship with her. The lawsuit says Johnson overheard her boss say he needed to make Johnson look incompetent even though he knew she was good at her job. 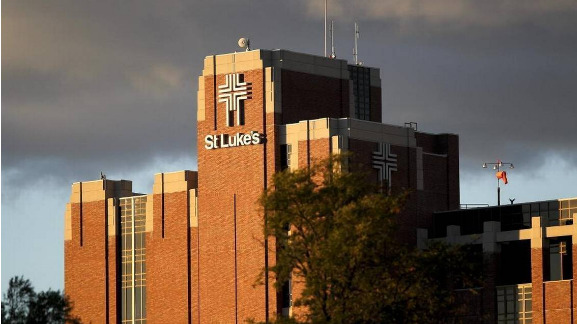 St. Luke’s spokeswoman Anita Kissee said in an email Monday the hospital’s legal team had not yet seen the complaint, However, she added that St. Luke’s has a well-defined policy on equal employment opportunity protections. “As an employee of St. Luke’s, Ms. Johnson would have been treated with the same respect as all employees, consistent with those policies and guidelines,” Kissee said. At least 10 employees are named in the lawsuit and accused of making racist or sexist remarks to Johnson. “(On) Ms. Johnson’s first training day … employees made comments about the shape of Ms. Johnson’s body,” Coulter wrote. One employee told Johnson he did not like black people because he had poor experiences working with them in the past, the lawsuit states. Other employees allegedly made comments about her hair, while other compared her skin color to celebrities. When Johnson first reported the comments, the lawsuit says, her supervisor said she should be grateful she had a job. The lawsuit lists four other times that Johnson met with supervisors to report inappropriate behavior. Additionally, Johnson says she emailed and called supervisors about comments. Johnson was fired from St. Luke’s after being accused of delaying care to a patient. In the lawsuit, she says she didn’t receive the appropriate orders to administer several doses of antibiotics. Nearly six months later, she filed a complaint with the Equal Employment Opportunity Commission. Nearly two years later, she received a “right to sue letter” from the commission allowing her to file the lawsuit against the hospital. Johnson is seeking $300 million in damages. Coulter declined to comment further on the case, saying the lawsuit spoke for itself. Published: July 10, 2018, 10:14 a.m. Updated: July 10, 2018, 11:50 a.m.